It’s common to feel lonely or isolated when going through a divorce. This feeling leads many people to seek relationships beyond platonic friendships. It’s normal; humans have a deep need to feel desired and have excitement. After a tumultuous marriage, it’s natural for people to want to start dating, however, from a legal aspect, it’s usually not a good idea. Avoiding dating during the divorce can help keep you from facing additional challenges during the process. DO make social connections in groups of people. Be careful of going off alone with someone, even if it’s platonic. As much as you want to avoid dating, you also want to avoid the appearance of dating. DON’T date anyone until you are physically separated from your ex-spouse, if you do plan on dating. Even though New York is a no-fault divorce state, it’s in your best interest to avoid allegations of an affair. DO be up front and honest about the situation you’re in with potential suitors. 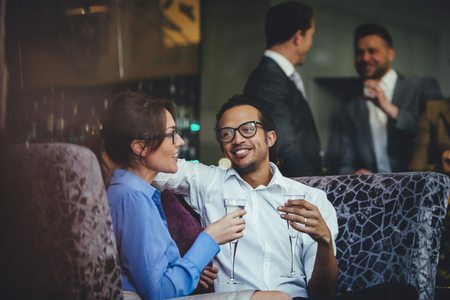 It’s possible to build a strong friendship in a group and once your divorce is final, you can consider transitioning into a romantic relationship. However, it’s important that any potential partners know about your divorce and your limitations until it’s finalized. DON’T get pregnant or get someone else pregnant during the divorce. If you do choose to date, be extra careful about contraception. A pregnancy can halt a divorce in its tracks until the baby is born so a paternity test can be done to either include or exclude the spouse as the father of the child. DO be careful about what your children see. Avoid bringing home dates or introducing your children to your “new friend.” It’s important to know that anything your kids see may one day be explained to a judge. This could also affect child custody and/or child support. DO consider getting support. Find a divorce support group in your area so you can build relationships with others who understand your situation and who can provide you with guidance and empathy. If you’re considering a divorce or are currently involved in a divorce, it’s important that you have seasoned legal representation on your side. For experienced legal advocacy at every stage in a divorce, contact our divorce lawyer at the Law Offices of Mary Katherine Brown at (718) 878-6886.